Kids of all ages will have fun making these silly paper Heart Creatures. Sit down with the kids and learn more about each other when you make your own Things I Love Collage. Love dream catchers? This Paper Plate Dream Catcher has a fun Valentine’s twist. 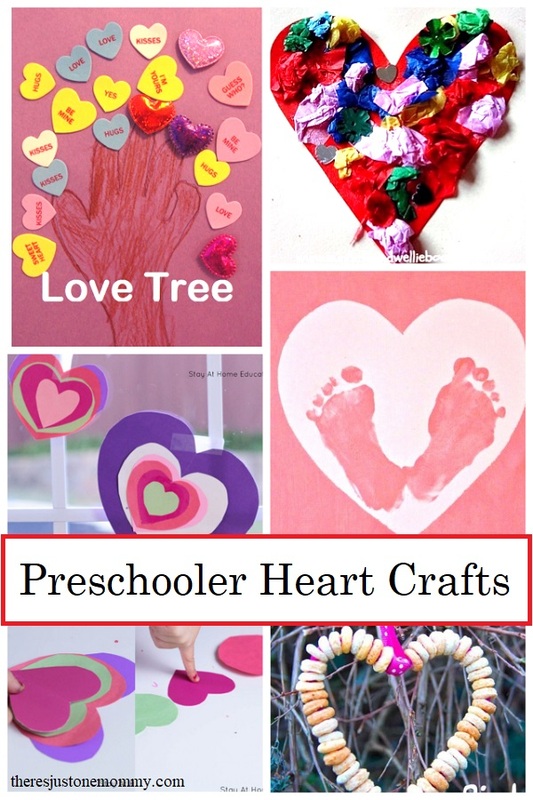 Hand print crafts are always fun, and this Love Tree Craft is adorable. This Footprint Canvas is a perfect keepsake to make with little ones. Even the birds will love this Heart-Shaped Bird Feeder. Gather up some colorful tissue paper and make this Tissue Bleed Craft. Want to give it an extra spin? Try this version: Crayon Resist Tissue Bleed. Remember doing pasta crafts as a kid? Bring a bit of nostalgia and help the kids create Pasta Hearts. This Heart Stamping craft can be used as wrapping paper or turned into envelopes for Valentines! Kids love to crinkle tissue paper, and this Tissue Paper Collage will let them create beautiful artwork, too! This Button Heart craft not only turns out cute, but it allows kids to work on fine motor skills, too! 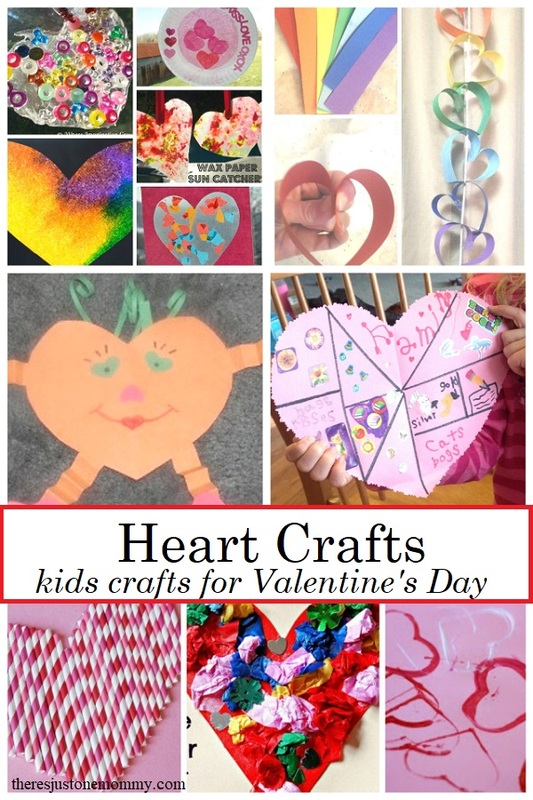 Cut a variety of hearts and let the kids make some cute Heart-Shaped Animals. 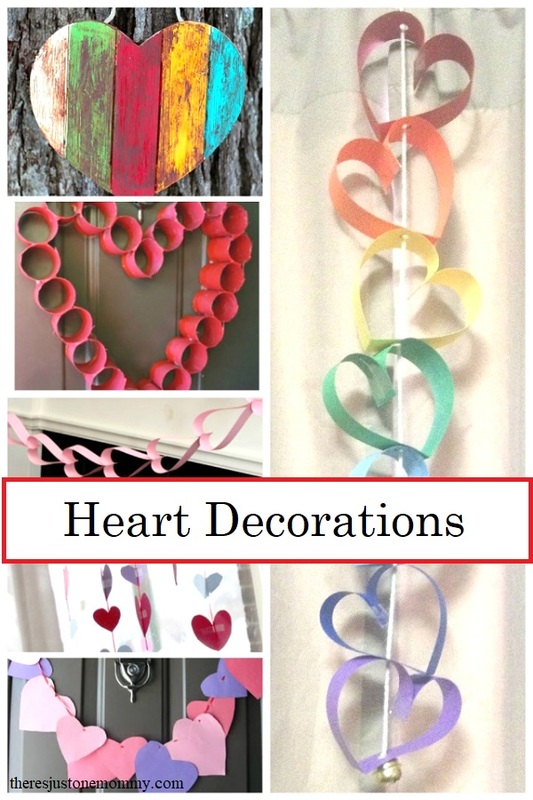 These paper Layered Hearts are easy to make and look gorgeous on the door. 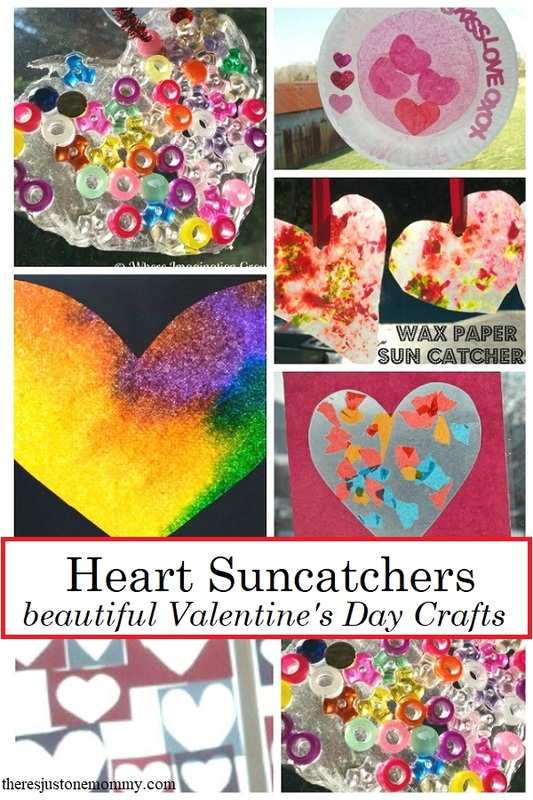 Decorate the windows with this Paper Plate Valentine’s Day Sun Catcher. You’d never guess this Stained-Glass Heart was made from a recycled milk bottle! Coloring and getting to use the spray bottle will make this Coffee Filter Heart Art a hit with all kids. This Tissue Paper Stained-Glass Heart is a great use for tissue paper scraps. I absolutely love how the colors pop in this Paper Towel Stained-Glass Heart! Instead of buying them, make your own Window Clings for Valentine’s Day with the kids. Use the leftover paper from cutting out all those paper hearts for this Sticky Heart Collage Window Decoration. This Cardboard Roll Wreath would make an awesome Valentine’s Day wreath for the door! The kids will love seeing their artwork hanging from the ceiling with this Valentine’s Mobile. Decorate the curtains with this Homemade Valentine’s Day Garland. This White Clay Bunting decoration will add a bit of charm to any home. Great collection! Thank you so much for including some of my posts! Love this collection! Thank you for including my oil and water painted heart! omg, they’re all adorable. The one from cereal (I think? ), you could do a chain of them and drape them across a room or fireplace or window. How fun! You are too kind! Hope you have an awesome Valentine’s Day this year! great round up of Valentines ideas! Thanks for sharing on our share day…reshared and pinned!